We use this expression when talking about problems or challenges which we can see in the future. It means "let's not worry/talk about it now, we will deal with it when it happens". Wife: "They are restructuring the department. I am worried that I might lose my job. What will we do then? How will we pay the bills?" Husband: "Don't worry, we'll cross that bridge when we get there." 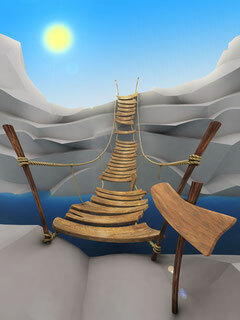 The "bridge" represents a danger or a challenge. The expression means that there is no need to worry about this danger or challenge until it actually becomes a reality. If the problem does become a reality, we will then find a way to solve it (to cross the bridge). It is often said to try to make someone feel better about something they are worrying about. Or it can be said if you feel someone is worrying unnecessarily.